The D-Switch device is an interface for sensors that does not require any connection between the communicator and the interface itself. 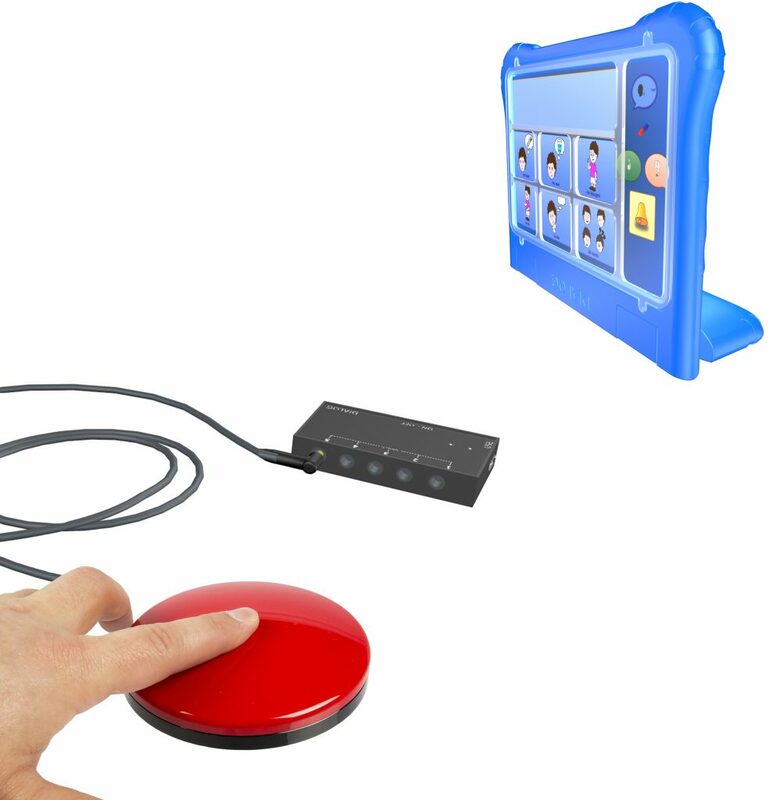 The interface uses Bluetooth technology to send all the inputs from the sensors connected to it. This innovative product eliminates the problem of physical connection between the sensors and the communicator. The D-Switch interface uses standard Bluetooth to send the sensors’ input to the communicator it is connected to. The sensors can be used up to a maximum distance of 5 metres. 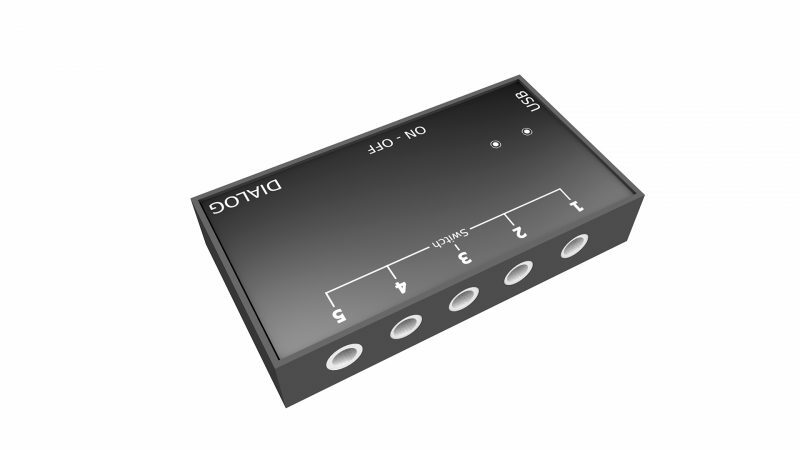 There are 5 inputs that allow for any switch (sensor) on the market to be connected that has a 3.5mm jack (e.g. switches, microlights, foot switches, etc.). This device allows for switch sensors to be used at a distance. It is recommended for clients in the first stages of illnesses when there are residual motor movements in the upper limbs. The sensors can also be helpful when using eye pointing, for making selections in non-automatic modes. The connection between D-Switch and the communicator is a simple Bluetooth connection. To connect, once the D-Switch is turned on, search for nearby Bluetooth devices. D-Switch will be recognised as a Bluetooth keyboard. Once you have connected, you can connect and use the switch sensors.